The federal government has virtually unlimited resources and aggressively prosecutes all significant drug cases. If you are under investigation or have been charged with any drug crime, you will benefit greatly by retaining an attorney who is willing to aggressively defend your rights and your freedom. Attorney Goldberg handles cases involving all types of drugs, such as cocaine/crack, heroin, large quantities of marijuana, ecstasy (MDMA), methamphetamines and prescription medications. In addition, he defends people accused of crimes involving synthetic drugs like Spice/K2, bath salts and much more. Based in Chicago, drug crime defense lawyer Darryl Goldberg takes cases in federal courts around the U.S. He is able to achieve positive results in major federal drug cases by carefully examining the facts of each case. Law enforcement frequently breaks the law in drug cases by illegally searching homes or cars. If that happened to you, Mr. Goldberg will work diligently to have that evidence suppressed and the case dismissed. Mr. Goldberg's goal is to preserve your freedom and obtain the best possible outcome. He will not hesitate to go to trial when needed. In fact, he seeks a plea bargain only as a last resort — and only after fully explaining how the plea will affect his client's life. Attorney Darryl Goldberg has earned a reputation for his sentencing work — and has obtained downward departures from the federal sentencing guidelines in a number of cases. In one notable federal drug crimes case, where his client was accused of conspiracy to possess and distribute 20,000 pills of ecstasy (MDMA), he persuaded the federal judge to sentence his client to under 24 months in prison. A reduction in sentence this dramatic is unusual, but it demonstrates Mr. Goldberg's hard work and creativity, and that the federal sentencing guidelines are now truly advisory. Sentencing proceedings in federal court are as significant as trial. Rest assured attorney Goldberg will work aggressively to obtain the best outcome for you. Convictions for federal drug crimes carry serious penalties. Protect yourself by calling Chicago drug lawyer Darryl Goldberg at 773-793-3196 or contact his law firm online. Your initial consultation is free. 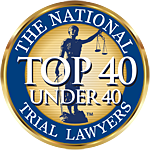 Mr. Goldberg represents clients in Illinois and nationwide.